Three or more vehicles, including a school bus, were reported to have been involved in the accident, which happened for reasons that have not been confirmed. 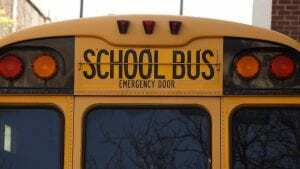 Due to the impact of the collision, the school bus overturned onto its side. According to police, no students were on board at the time of the crash. The drivers of the vehicles involved were stated to have suffered relatively minor injuries and there has been no word on whether or not anyone was hospitalized. The cause of the accident is currently under investigation. Before moving on, we would, first and foremost, like to extend our sympathies to the victims of this crash as we maintain hope for their full recoveries. Following a New York car accident, it is extremely important to understand that victims often have significant rights moving forward, particularly in the event that you are not at fault for your injuries.